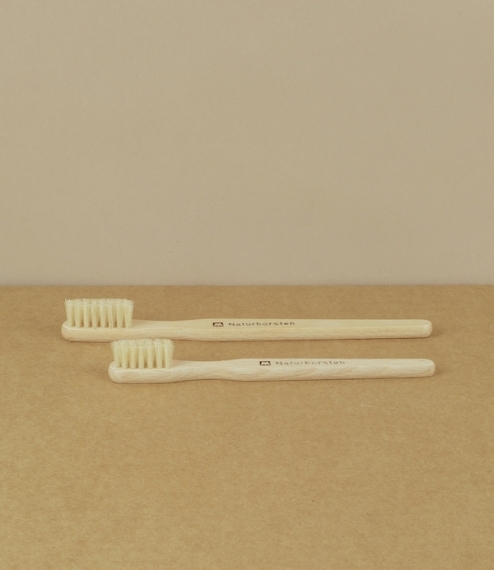 Toothbrushes made of untreated beechwood and sterilised, bleached natural bristle. Medium hard, and fairly densely packed these feel remarkably good in the mouth. 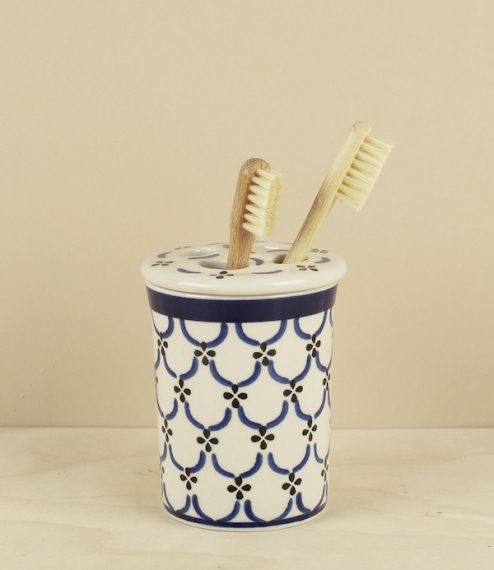 From the Redecker company, who since the 1930s have specialised in the production of unusual and high quality brushes, made using traditional techniques and largely natural materials. Available in 2 sizes one about 16.5cm with an 8 row head for adults, the other at about 14cm and 7 rows for children.